OJ&B To Celebrate Two Years Of Blogging Fierceness! THANK YOU! OH EM GEE!! 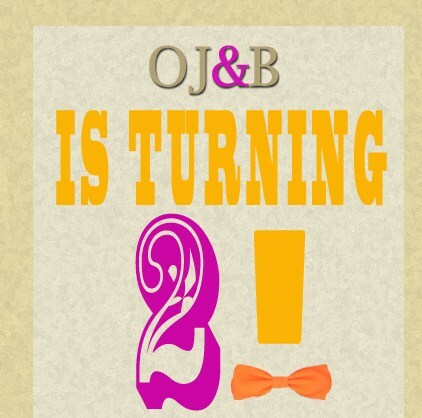 I cannot believe that OJ&B is turning 2 next week! It seems like just yesterday I was moving to the city and being blown away by all that it has to offer. The past two years have been a crazy and wild journey! Last year marked the 1 year anniversary of OJ&B and designer Rolando Santana hosted an amazingly fun party at his midtown loft! This year we are taking it downtown as we celebrate year 2 at The Brooklyneer. Satisfaction Vodka is going to provide some awesome custom OJ&B cocktails and I cannot wait for the fun! I want to take time out to thank EVERY SINGLE PERSON who has EVER supported OJ&B in any way! The support is what drives me to keep doing OJ&B and it is only getting better! If it were not for my guys and gals who read the blog and follow me on social media I would not be able to do what I do and experience the wonders of NYC! 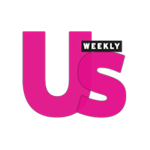 Always know that I am reporting for you and I LOVE taking all of you with me via the blog and social media to fab events, fashion shows and beyond! As we twerk our way into year 3 I want to ask all of you to do a few things. First, PLEASE keep up the support! The best way to show love is to RT posts on Twitter and to push the share and like buttons on Facebook! Second, I want to know what kind of stories and post you want to see! Be sure to Tweet, write on Facebook or email and let me know what you want me to cover. If there is a place you want me to check out I will do it! If there is a designer you want my opinion on I will let you know what I think! I want you to help me to discover NYC! Once again, Thank you so much for an amazing 2 years. Year three is going to be beyond! Above: Special thanks to my sponsors for OJ&B's 2nd Anniversary party! The Blaq Group, Satisfaction Vodka and The Brooklyneer.